A dilution refrigerator from an IBM quantum computer. Quantum computing has made it to the United States Congress. If this field of quantum information is the new space race, the US doesn’t want to fall behind. After all, China has funded a National Laboratory for Quantum Information Sciences, set to open in 2020, and has launched a satellite meant to test long-distance quantum secure information. Two new bills, one of which is still a draft, are meant to establish the US as a leader in the field. The bill introduced by Harris in the Senate focuses on defense, calling for the creation of a consortium of researchers selected by the Chief of Naval Research and the Director of the Army Research Laboratory. The consortium would award grants, assist with research, and facilitate partnerships between the members. Another, yet-to-be-introduced bill, seen in draft form by Gizmodo, calls for a 10-year National Quantum Initiative Program to set goals and priorities for quantum computing in the US; invest in the technology; and partner with academia and industry. An office within the Department of Energy would coordinate the program. Another group would include members from the National Science Foundation, the National Institute of Standards and Technology, the Department of Energy, the office of the Director of National Intelligence to coordinate research and education activity between agencies. Furthermore, the draft bill calls for the establishment of up to five Quantum Information Science research centers, as well as two multidisciplinary National Centers for Quantum Research and Education. 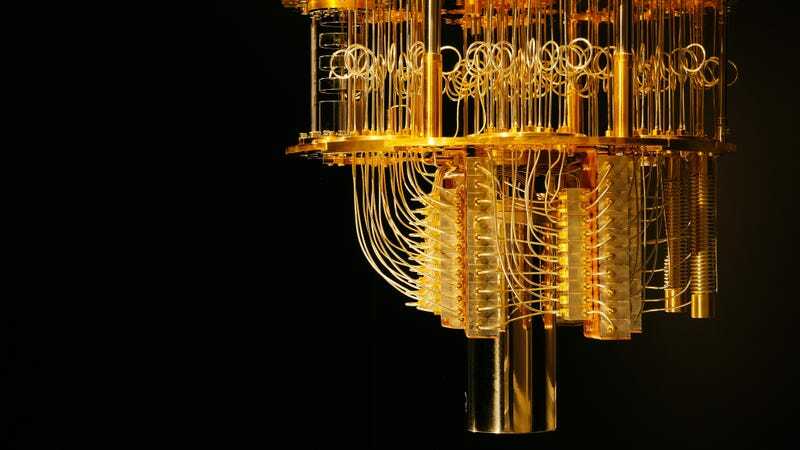 My quantum computing spiel is here, but there are a few general things to know about the technology. Regular computers are based on an architecture of zero and one. Quantum computers instead rely on zero and one simultaneously and probabilistically. It’s as if you flipped lots of coins at the same time, but some of them are weighted and tied together, so only certain combinations of heads and tails (or zeroes and ones) are allowed. It’s just an entirely different framework that you can use to solve problems. It could be useful for tasks like modeling molecules better than ever before, or solving problems like how to get entire groups of things into their preferred or most likely configuration. In a few decades, quantum computers might be able to run algorithms that crack our best encryption. It’s not clear whether this is truly a space race yet, or if it will ever become one. But if it is, the US government won’t want to lose out.